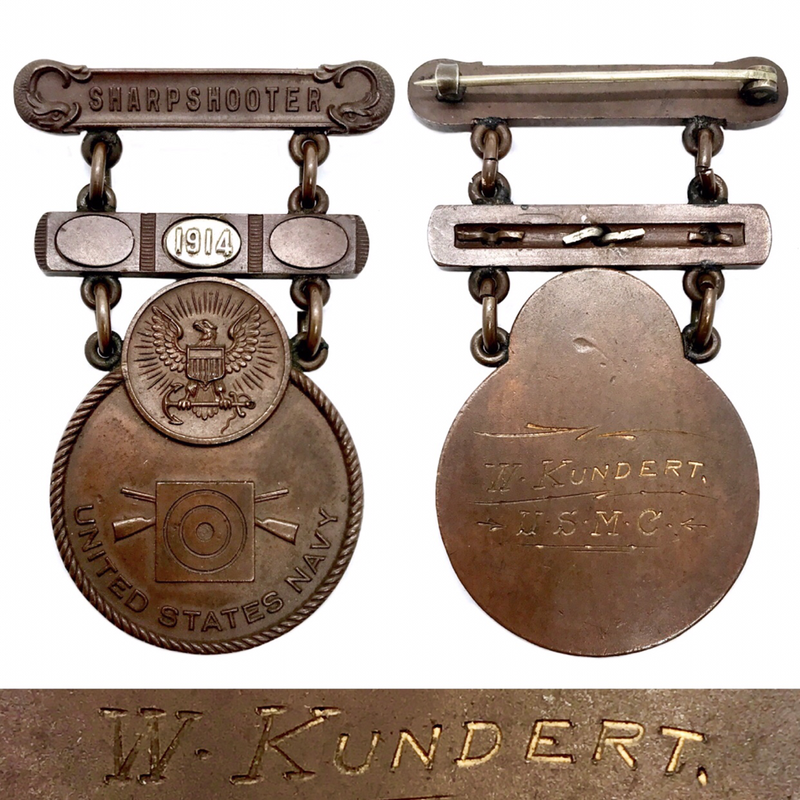 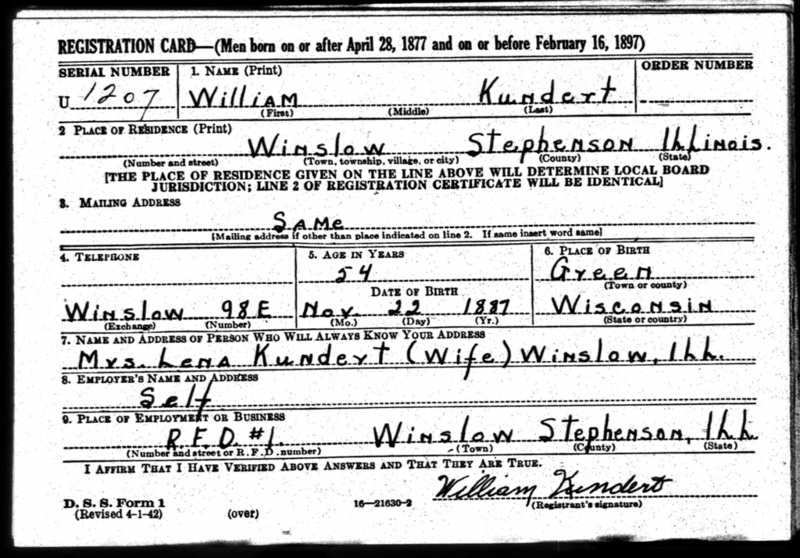 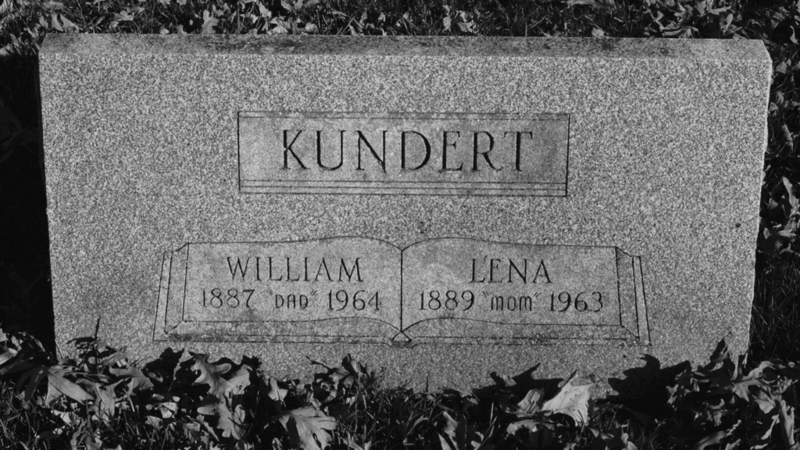 ​United States Marine Corps Sharpshooter Private William Kundert was born Nov. 22nd 1887 in Green, Wisconsin. 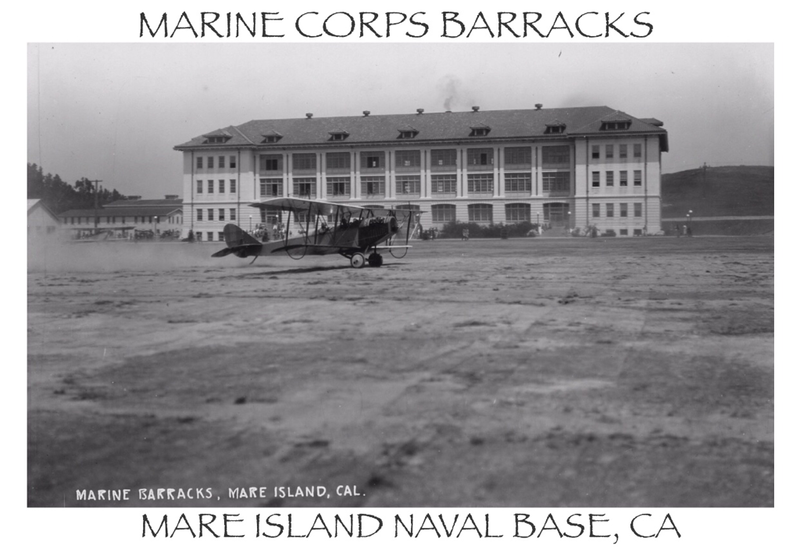 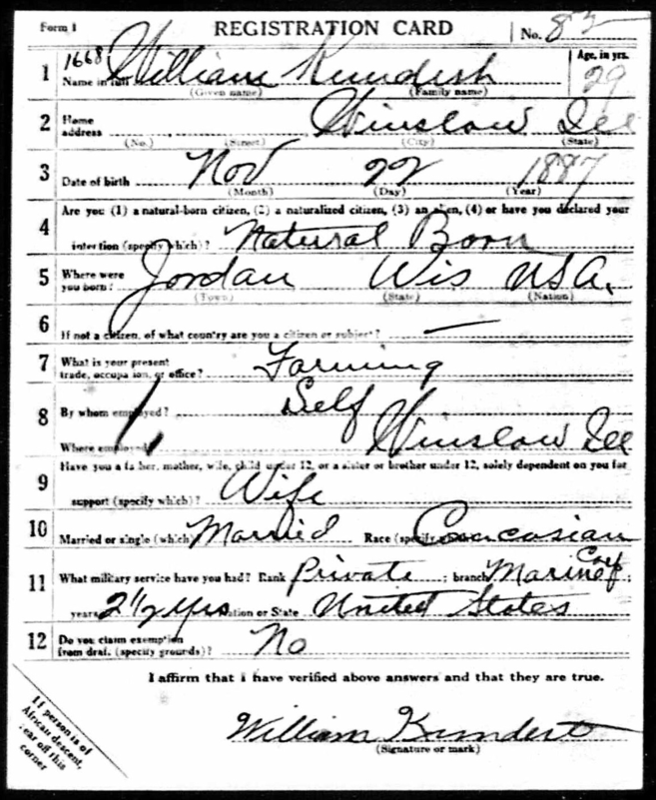 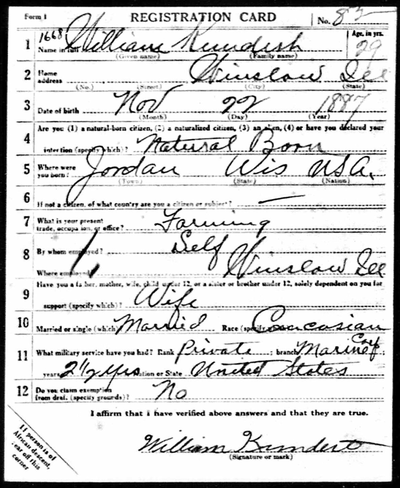 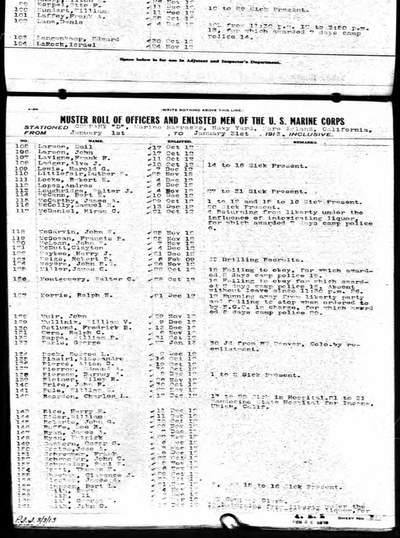 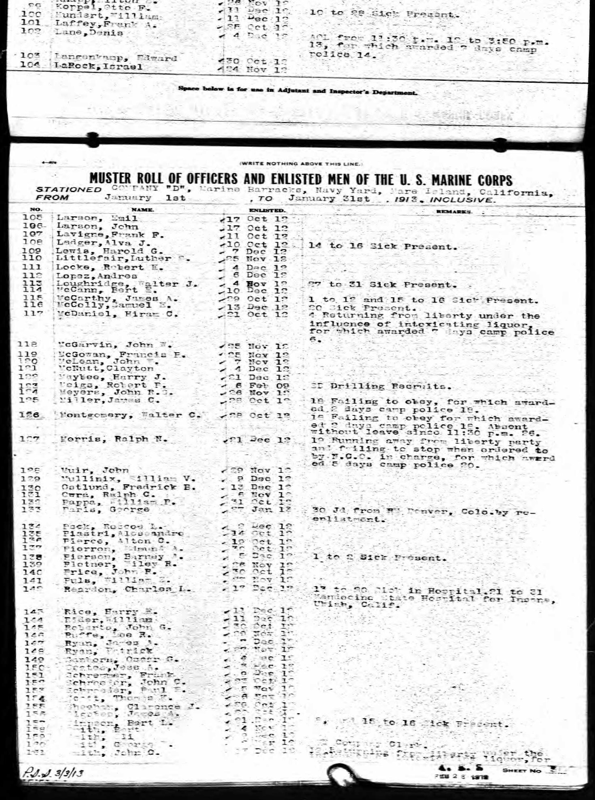 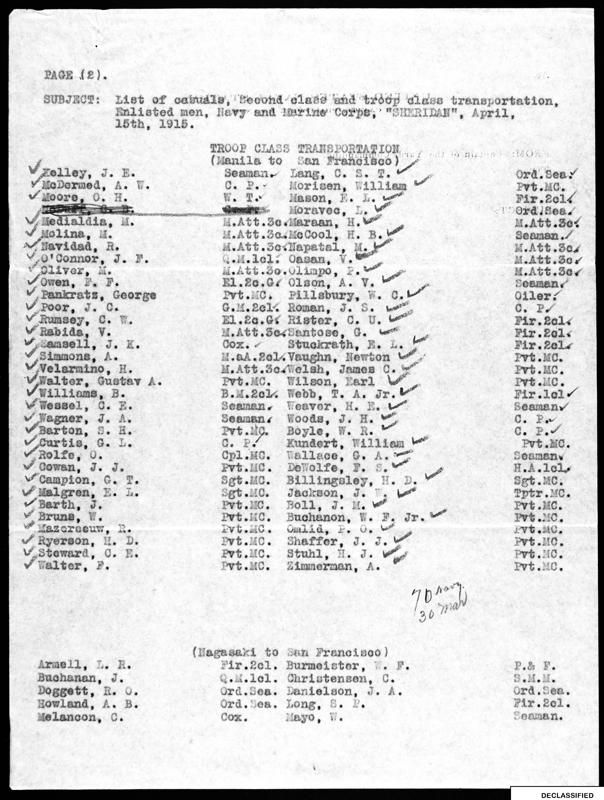 ​William enlisted as a Private in Company D, at the recruiting District of the Pacific Coast ​December 17th 1912, Marine Barracks, Mare Island, CA. 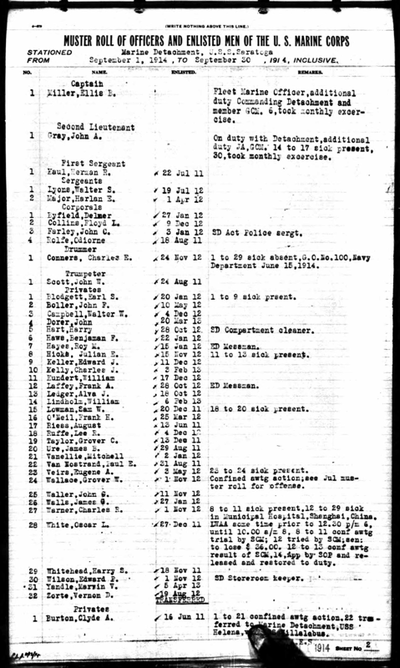 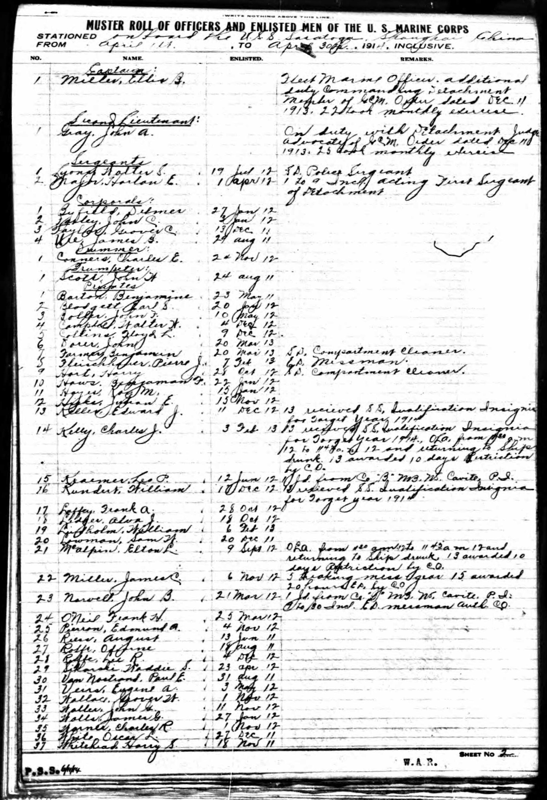 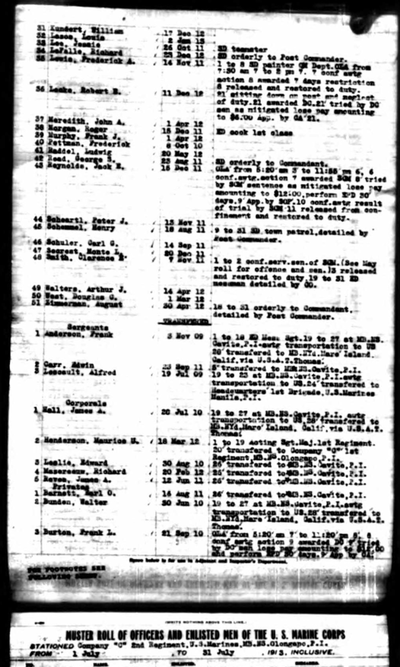 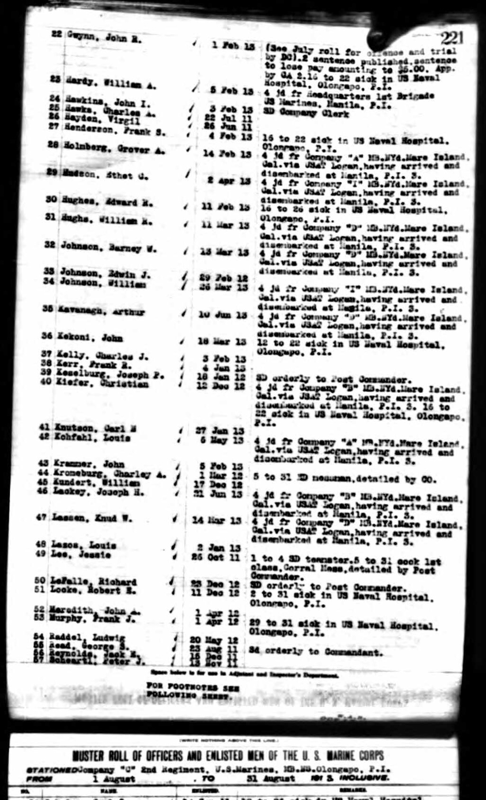 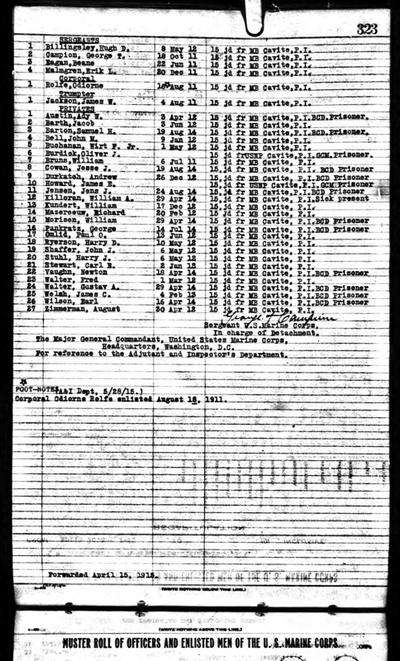 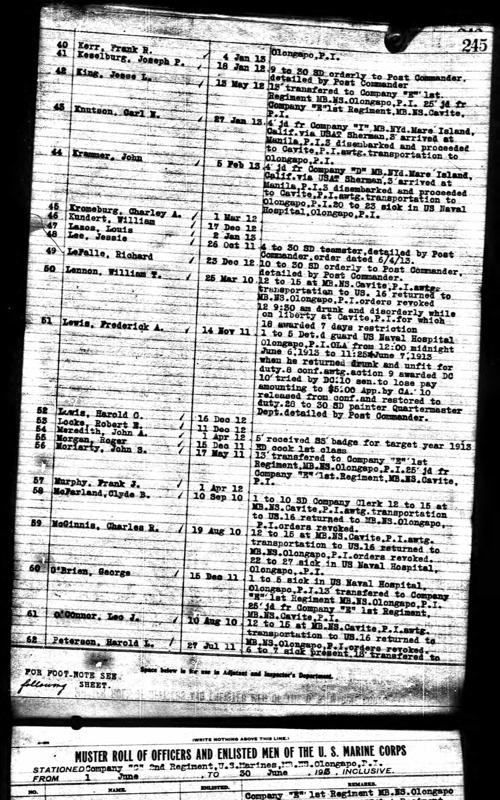 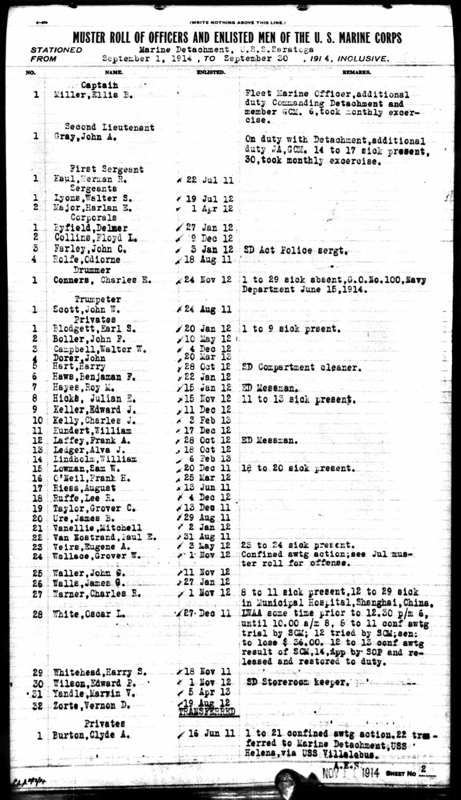 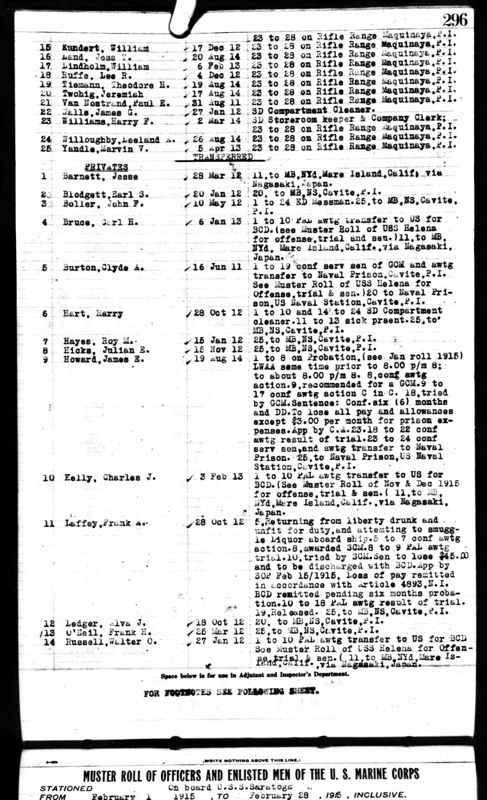 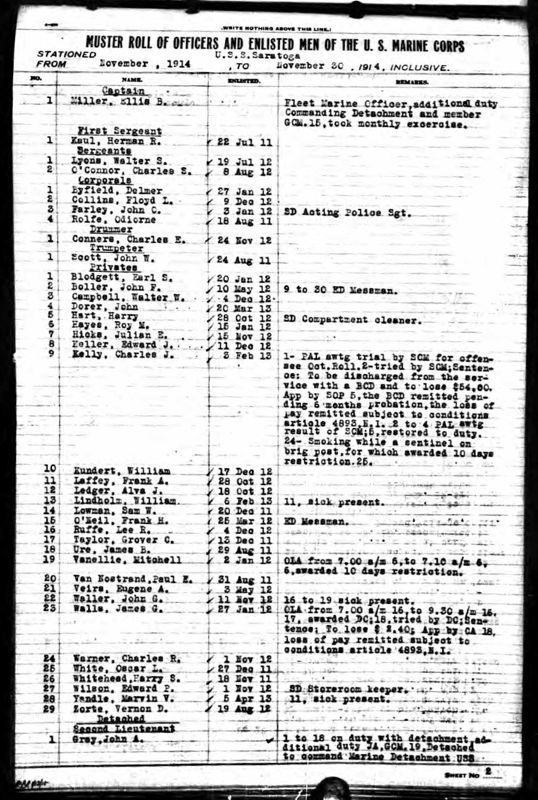 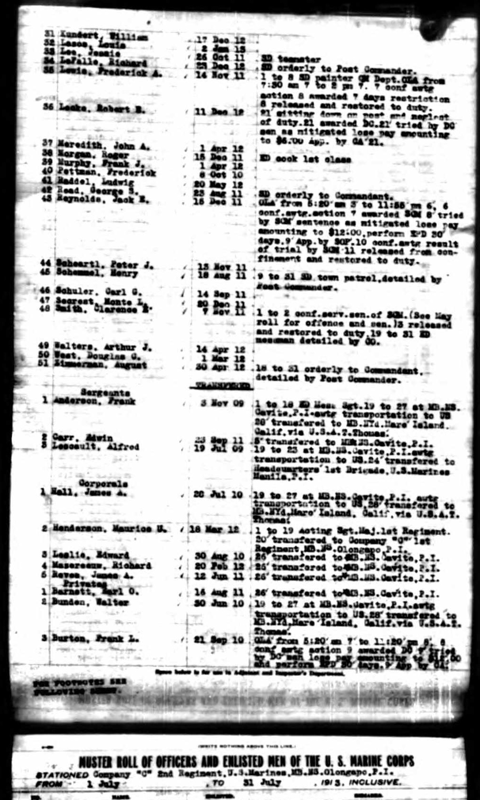 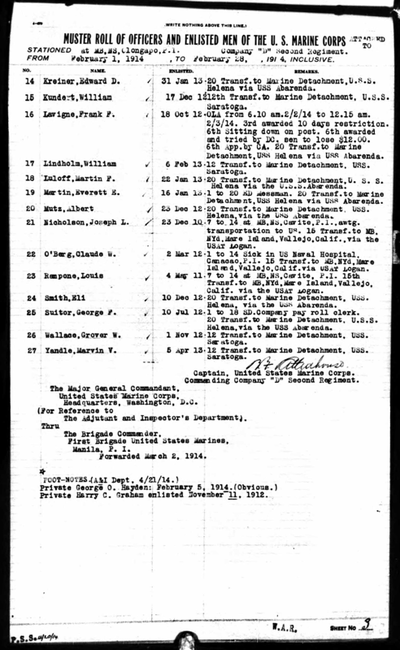 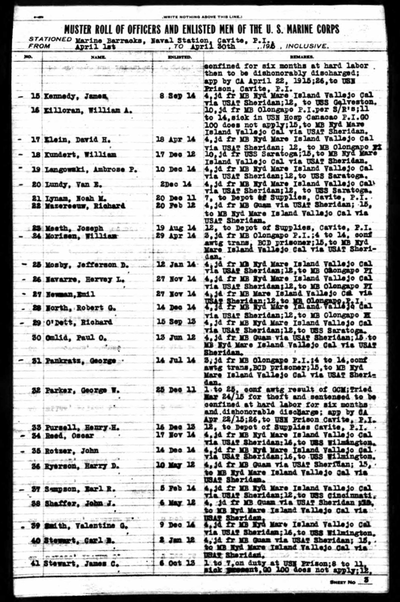 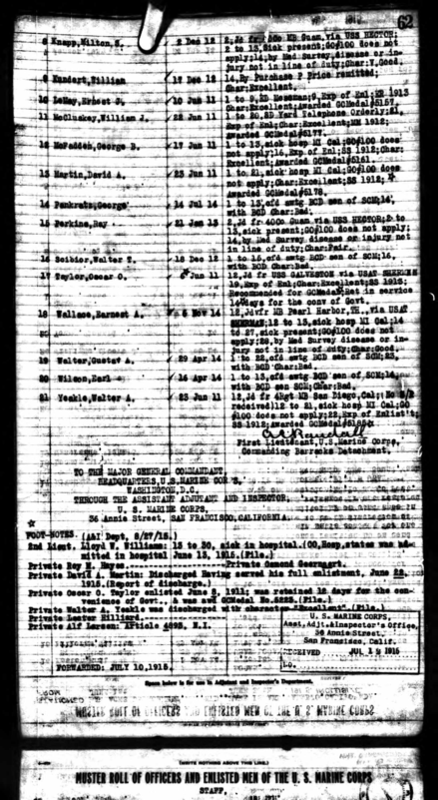 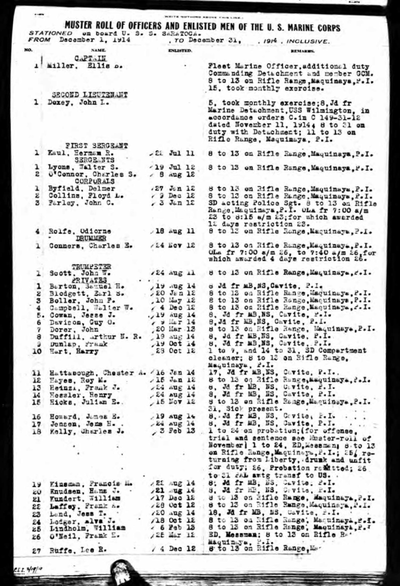 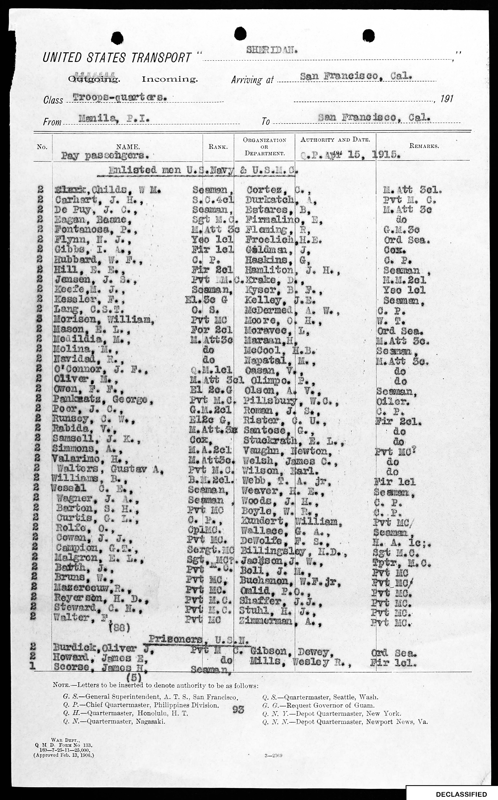 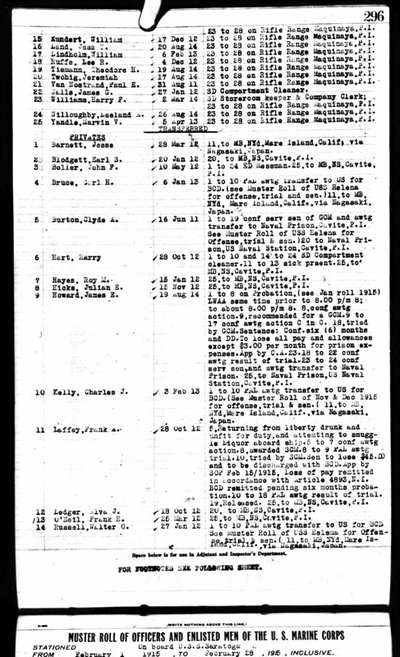 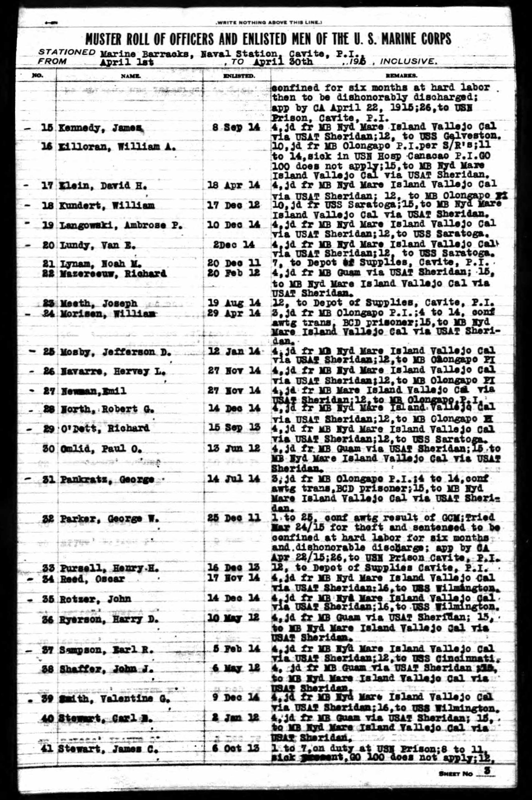 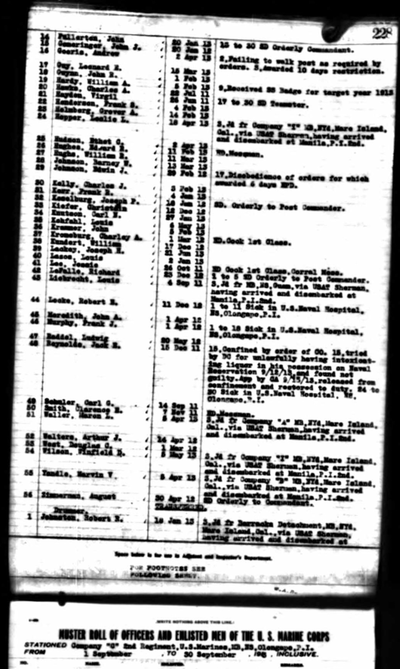 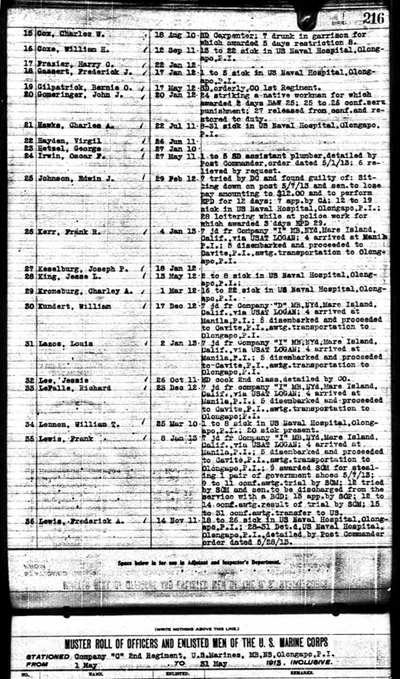 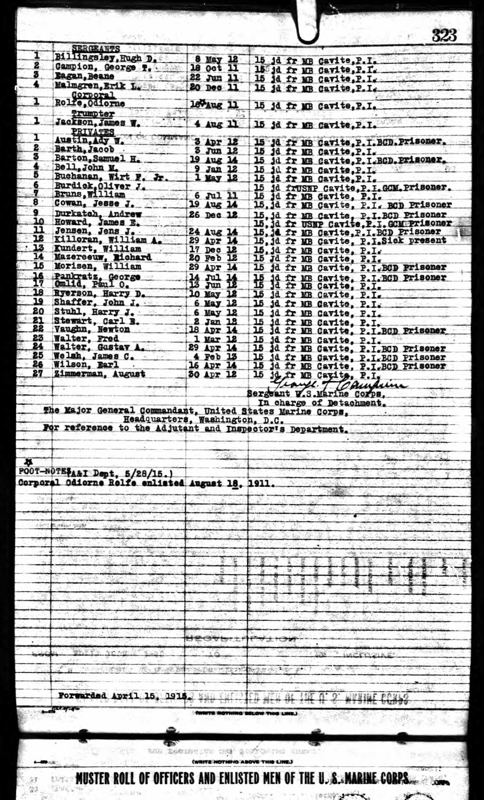 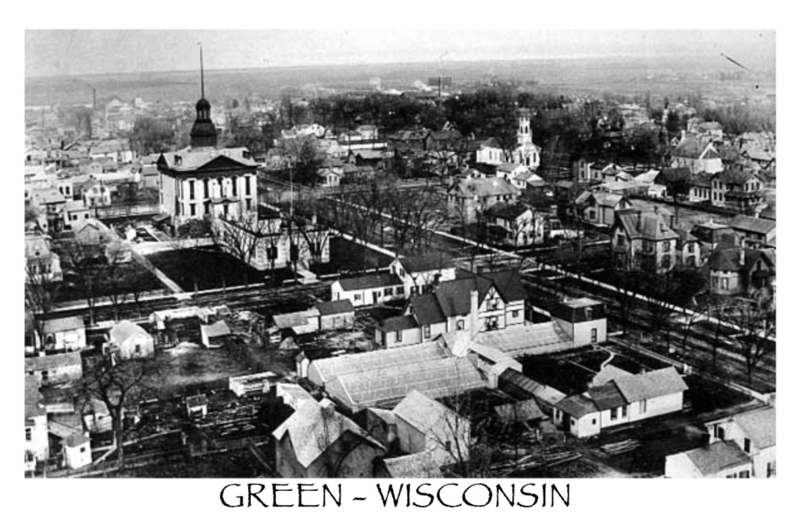 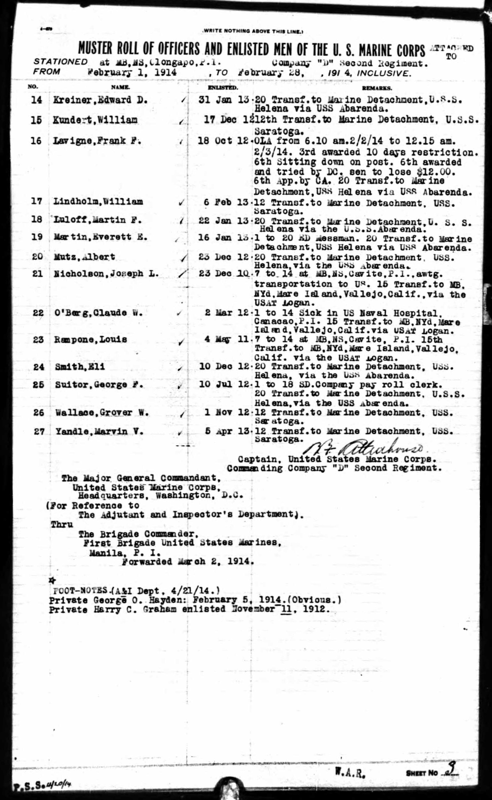 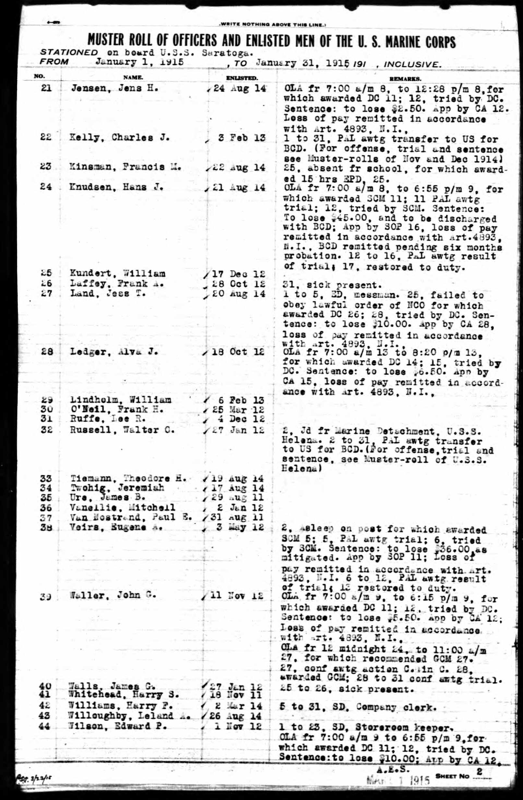 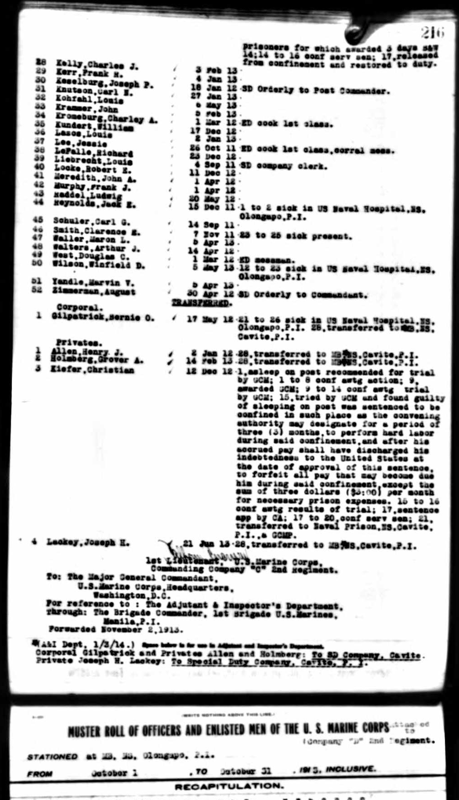 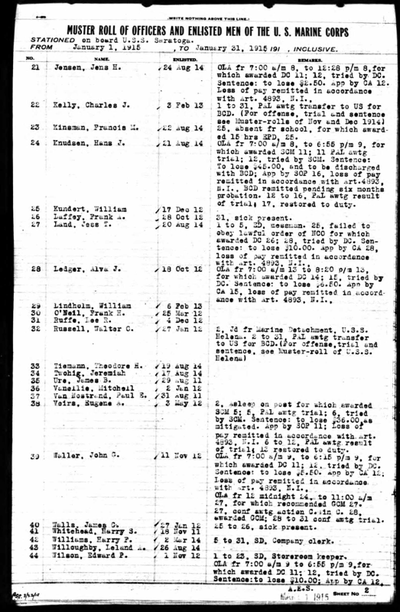 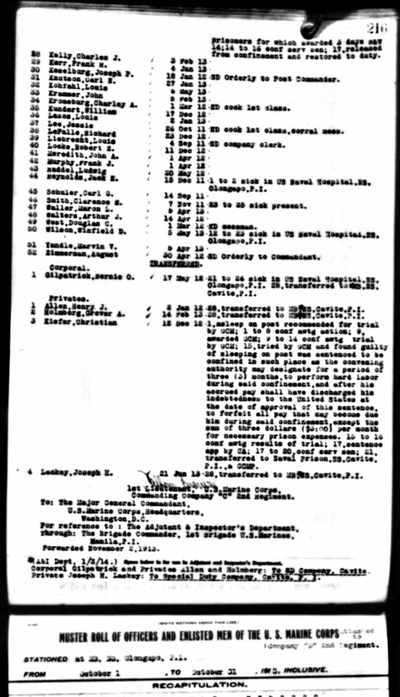 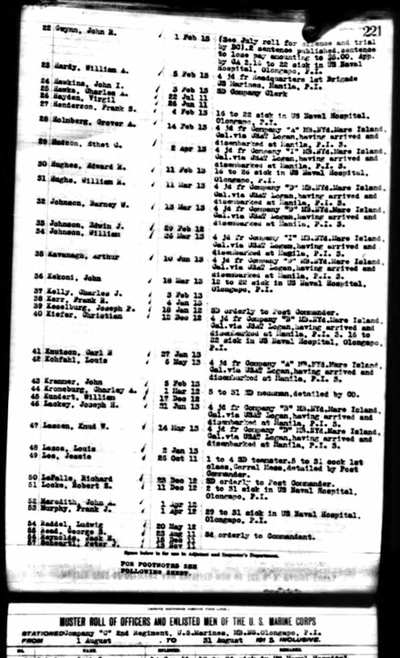 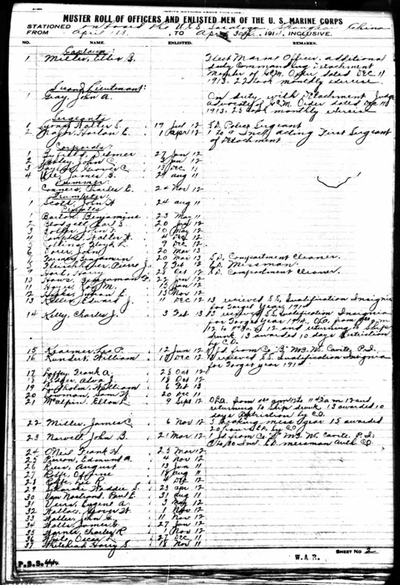 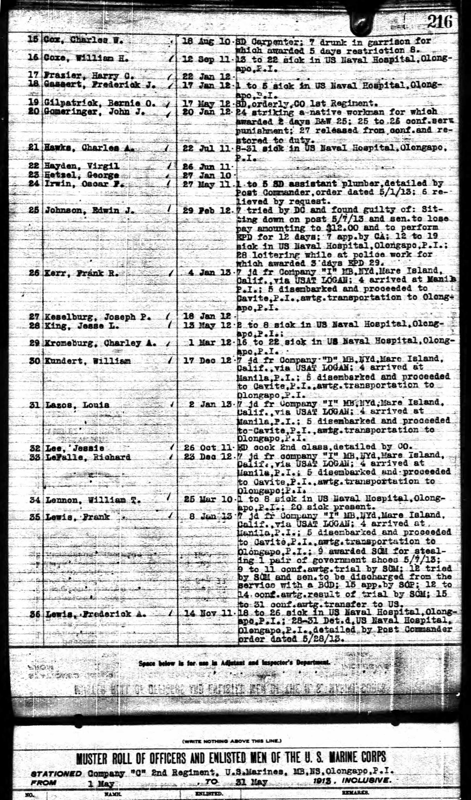 where he received Basic Training for the next 4 months until he was transferred in April 1913. 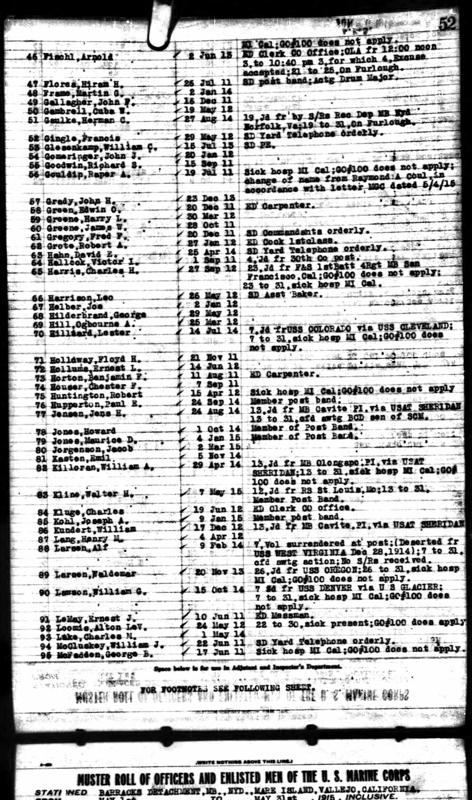 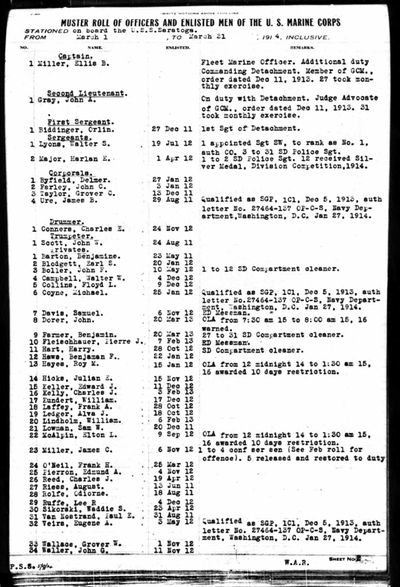 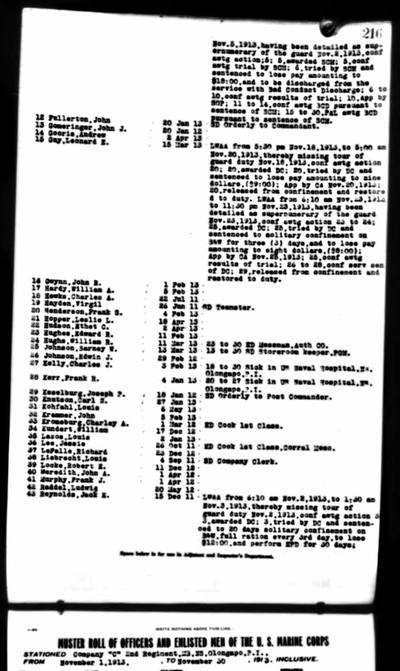 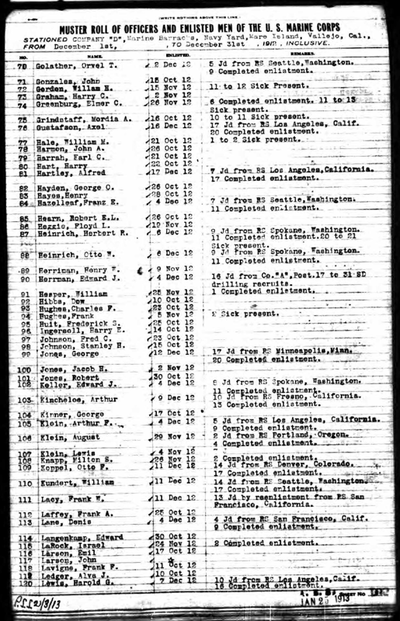 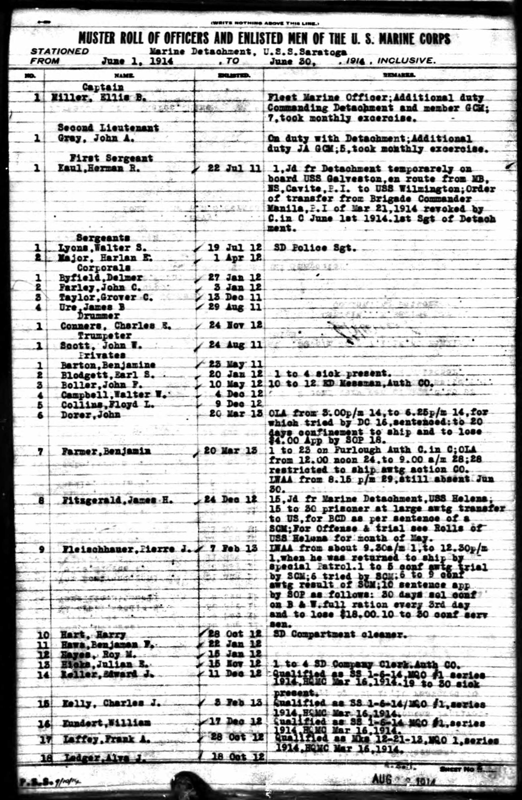 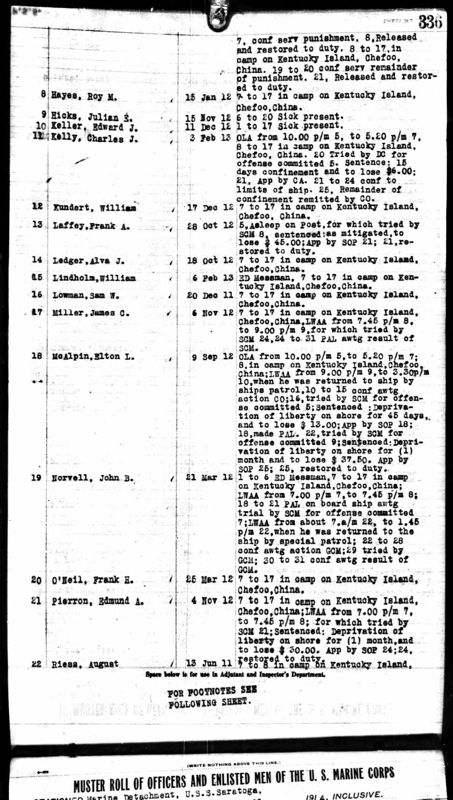 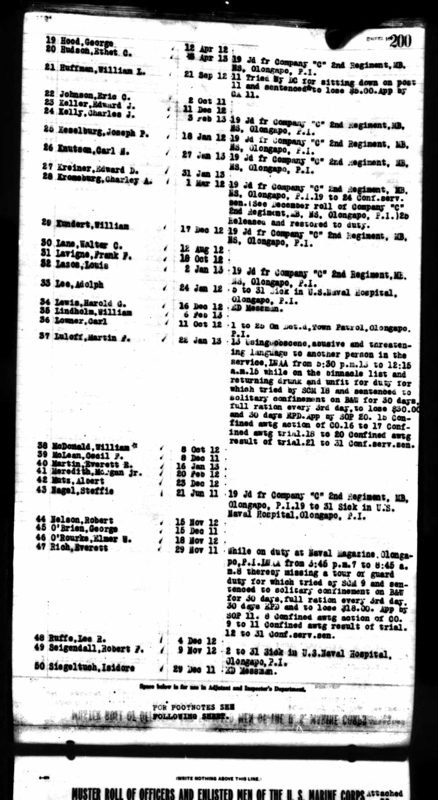 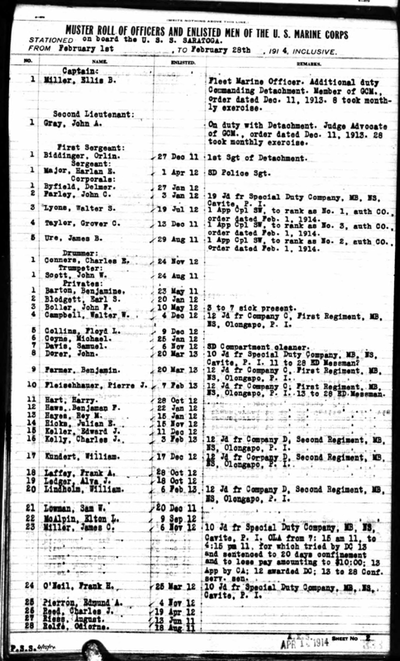 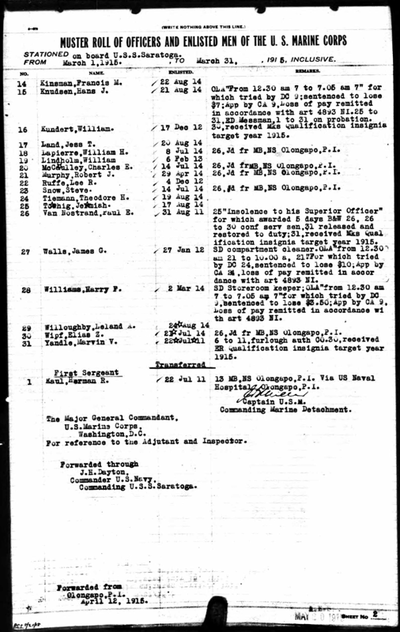 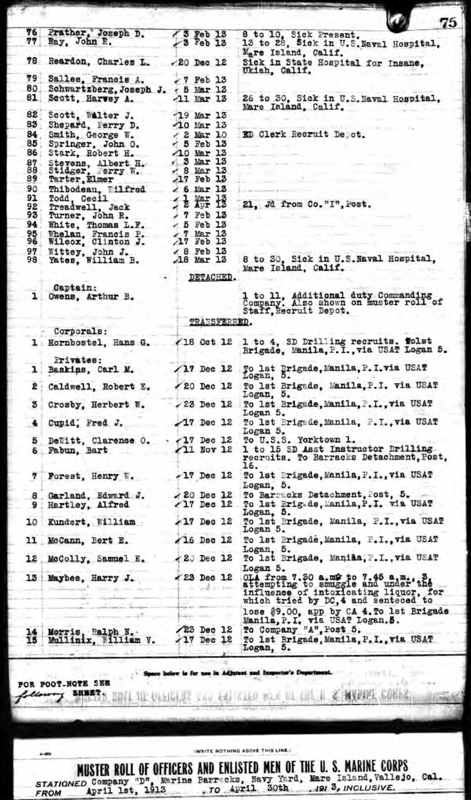 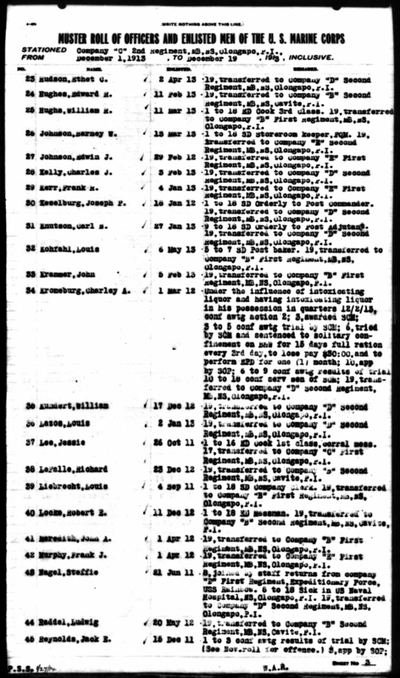 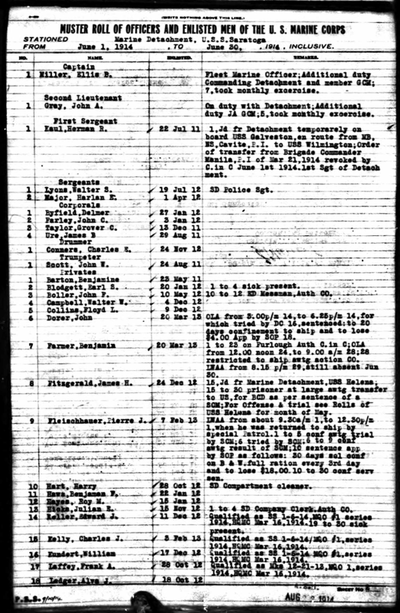 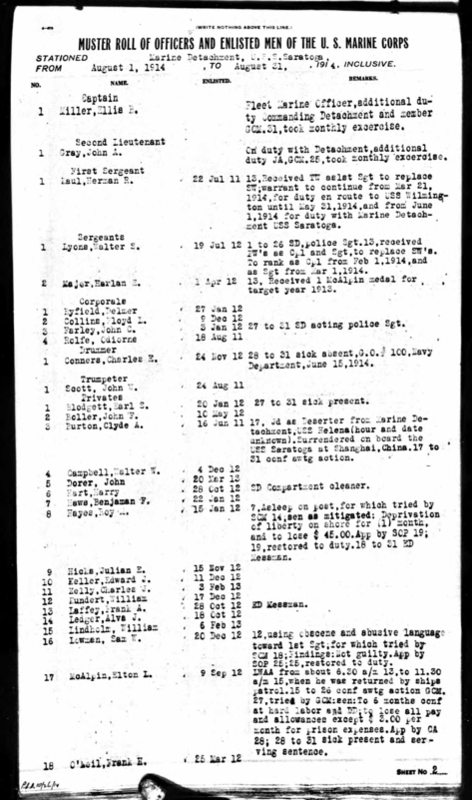 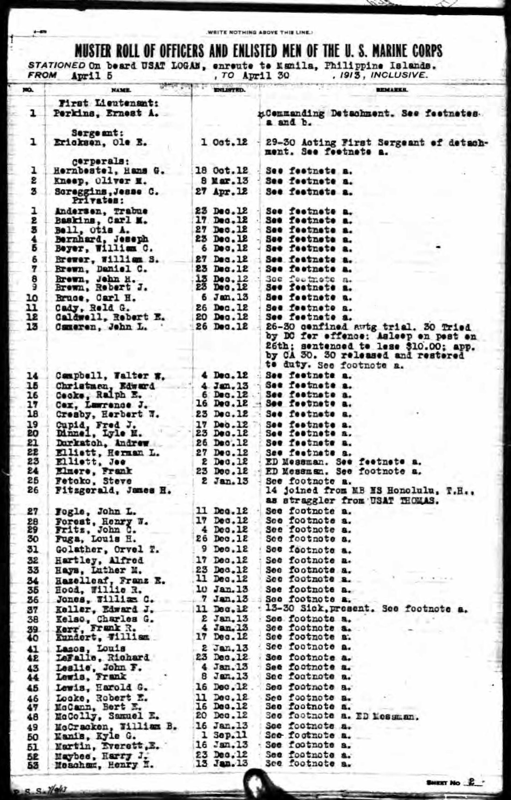 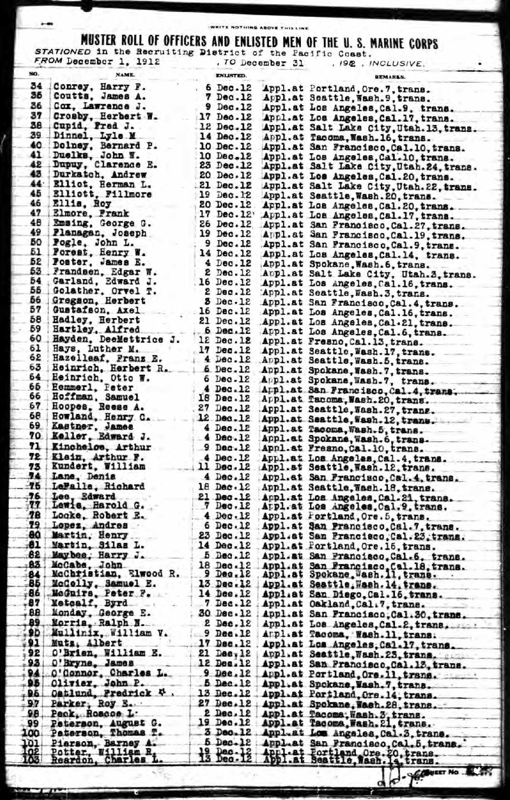 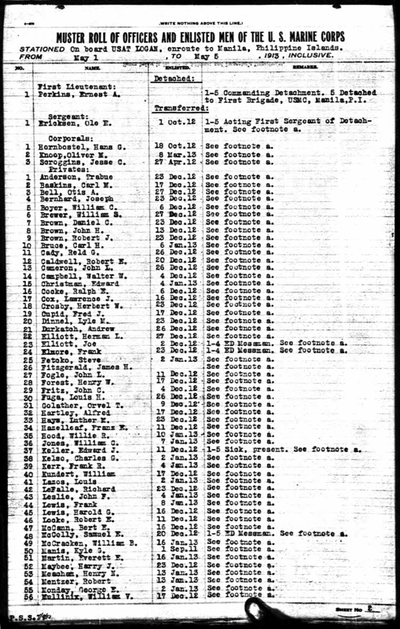 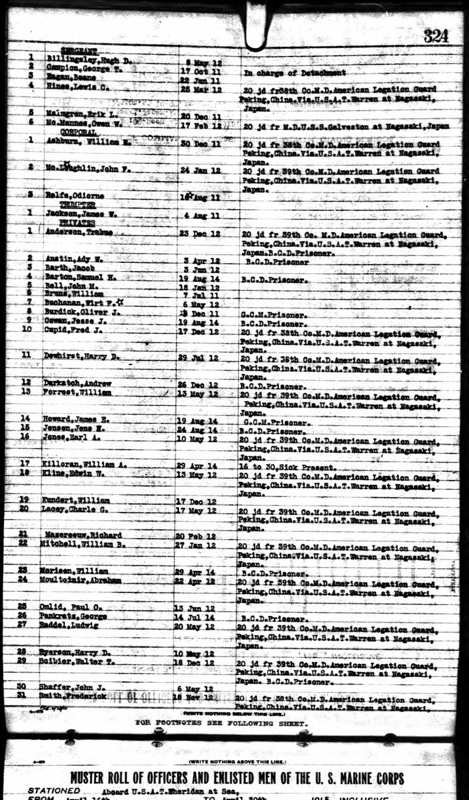 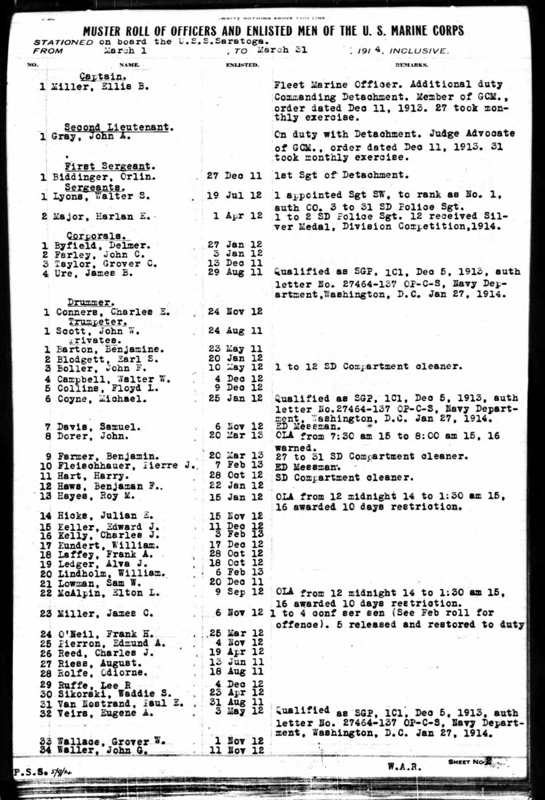 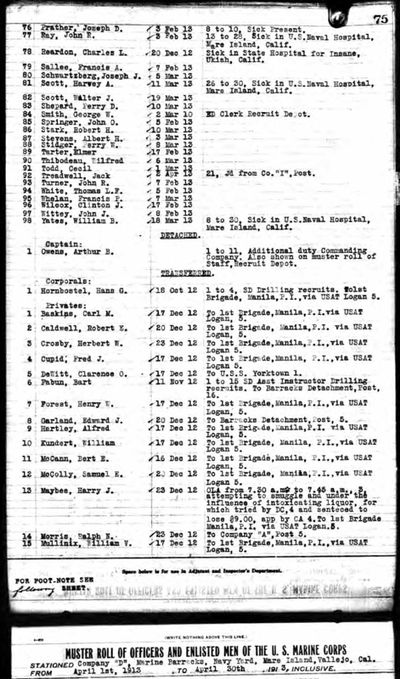 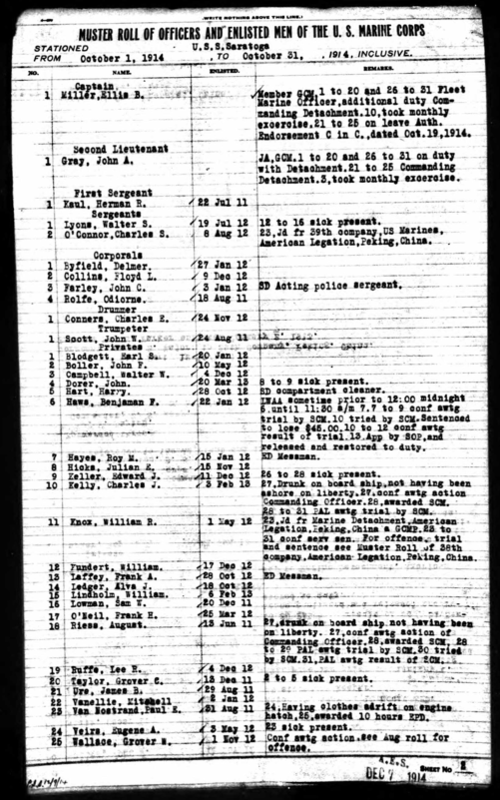 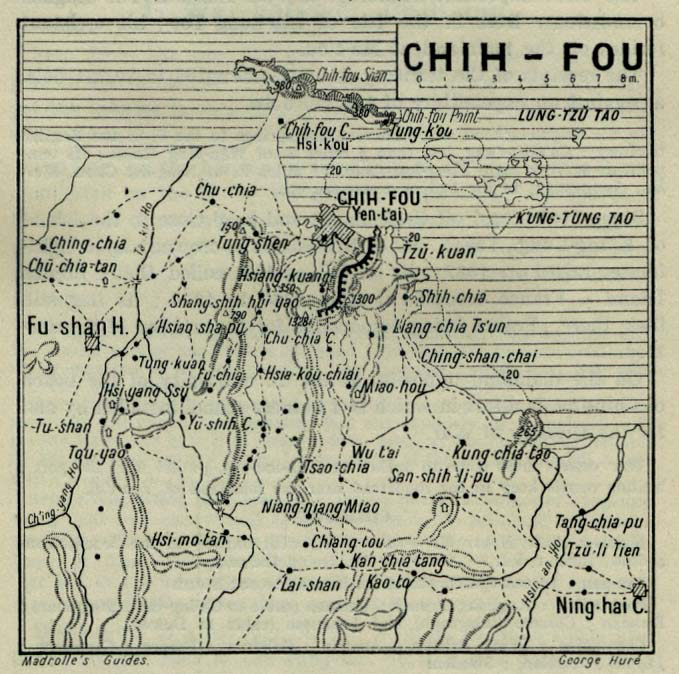 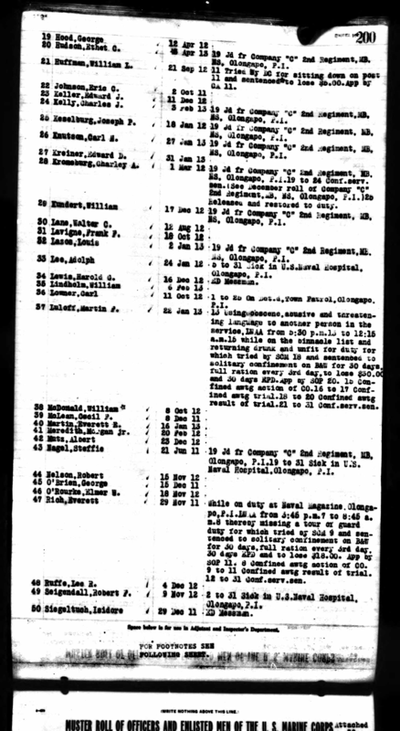 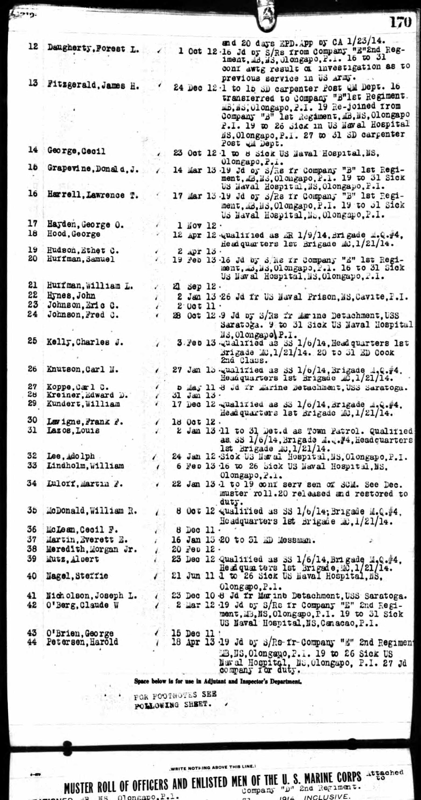 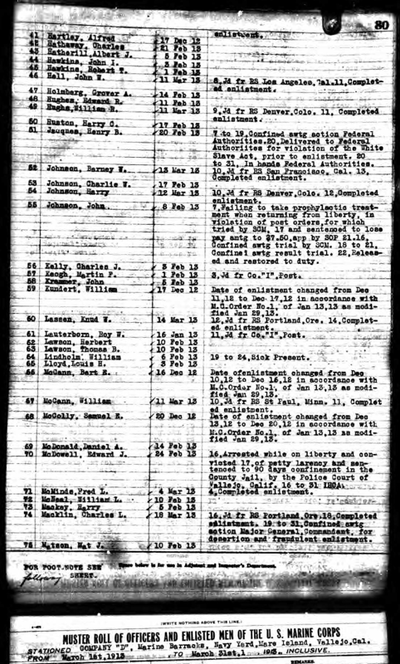 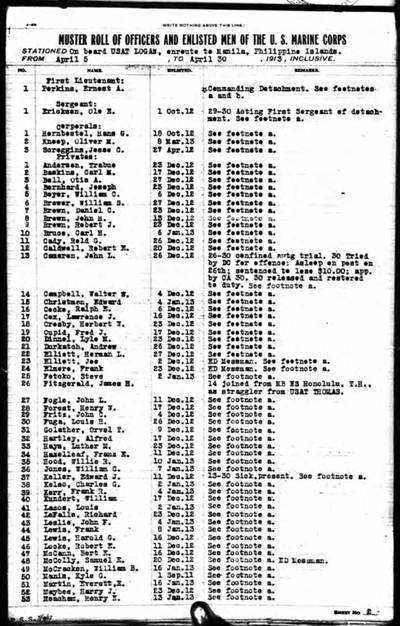 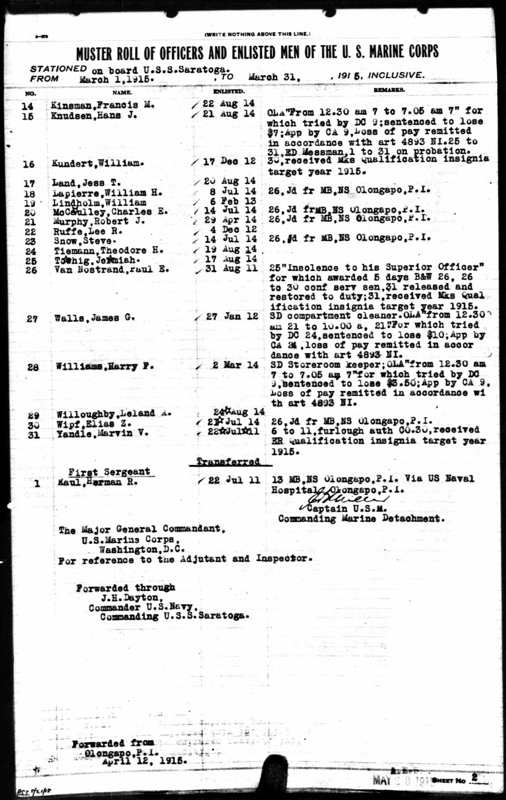 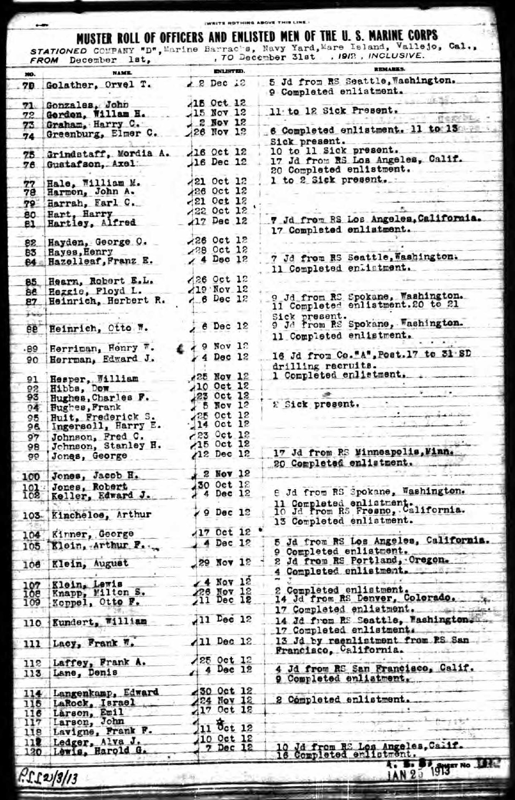 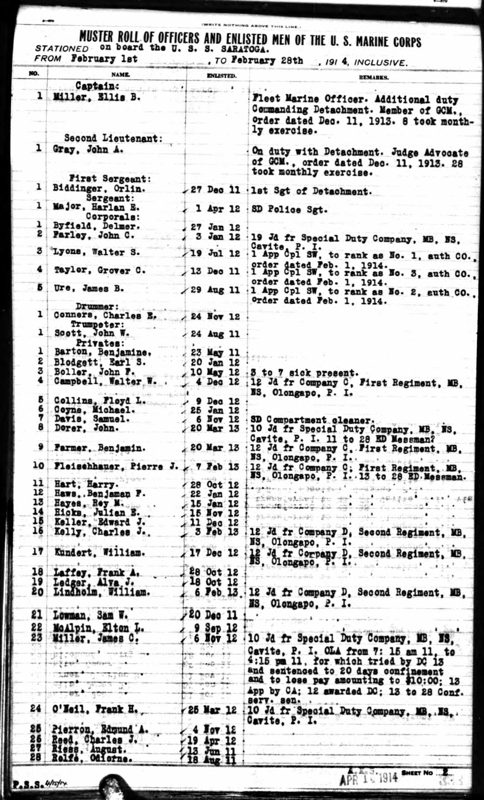 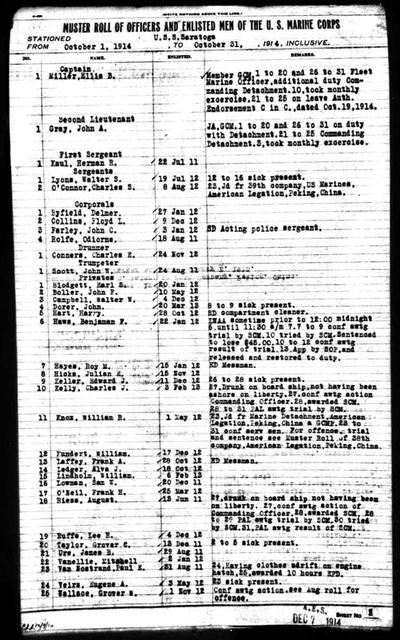 In Dec. 1914 Pvt. 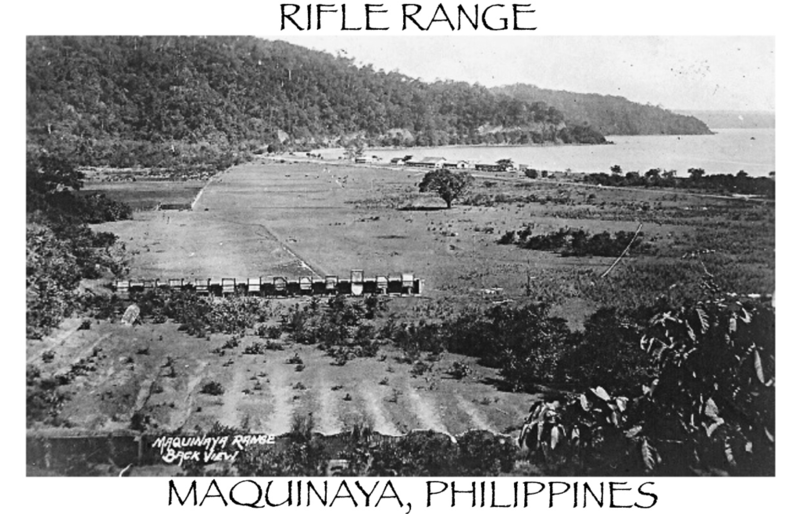 Kundert was back where he felt comfortable, on the Rifle Range, in Maquinaya, Philippines. 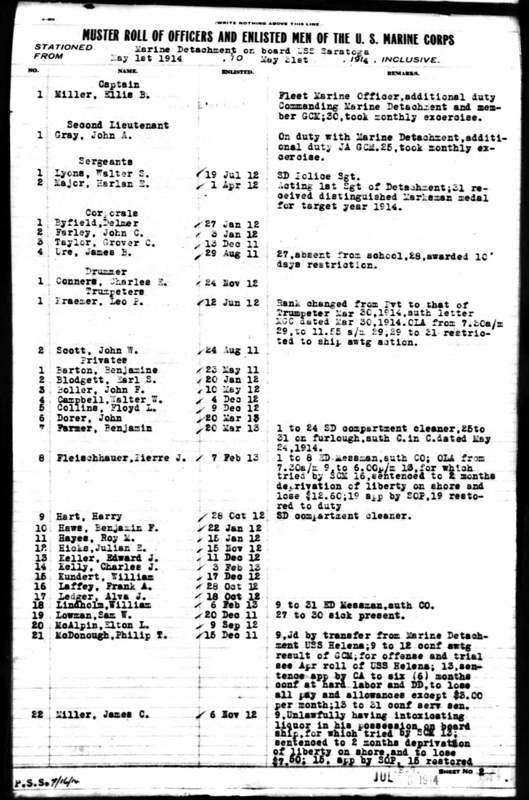 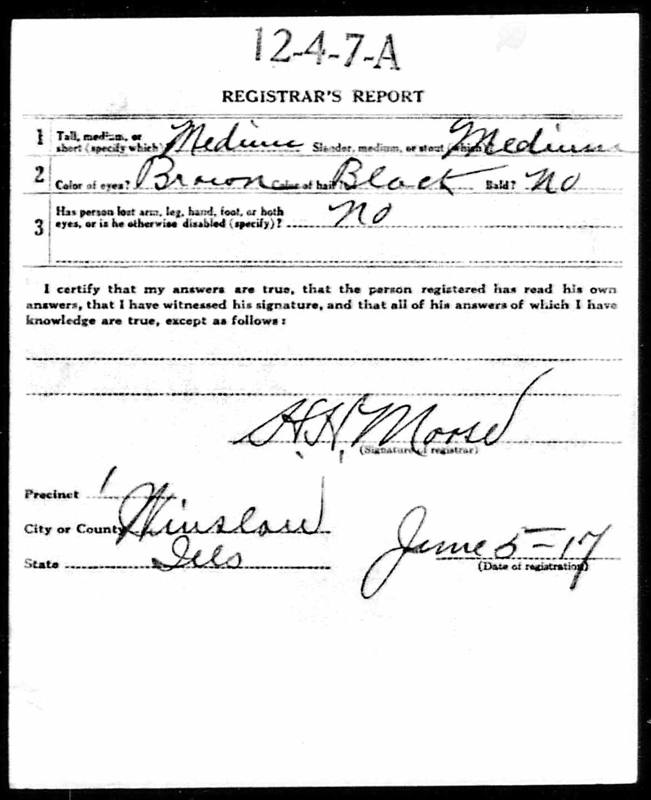 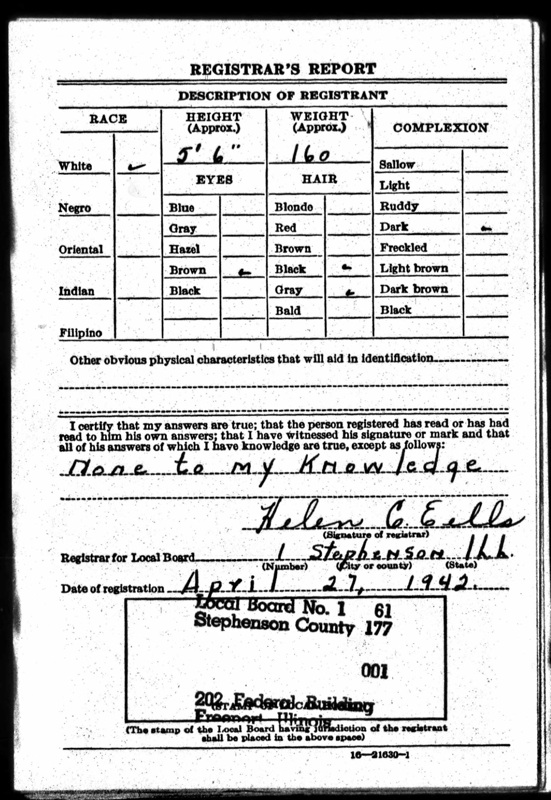 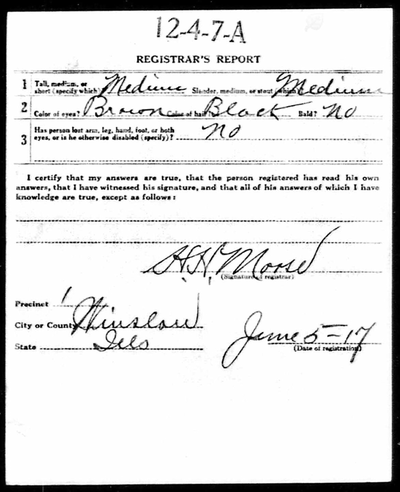 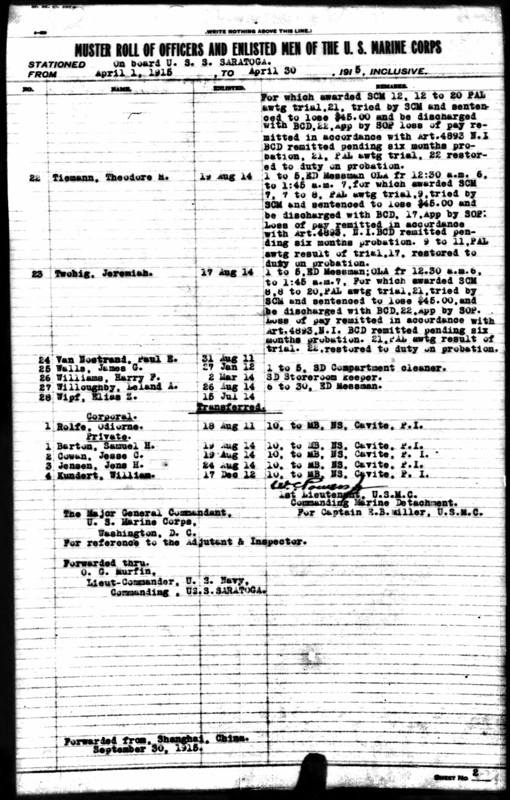 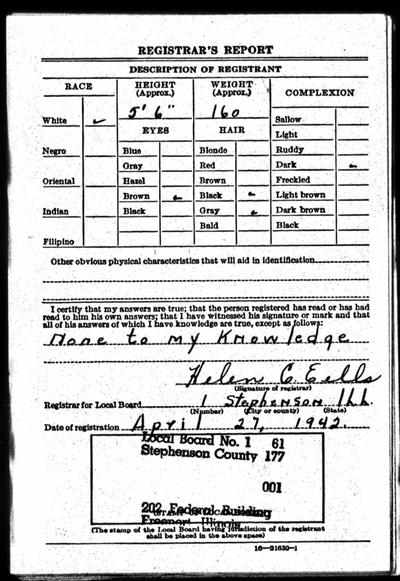 He qualified & was awarded the Marksman Badge in March 1915. 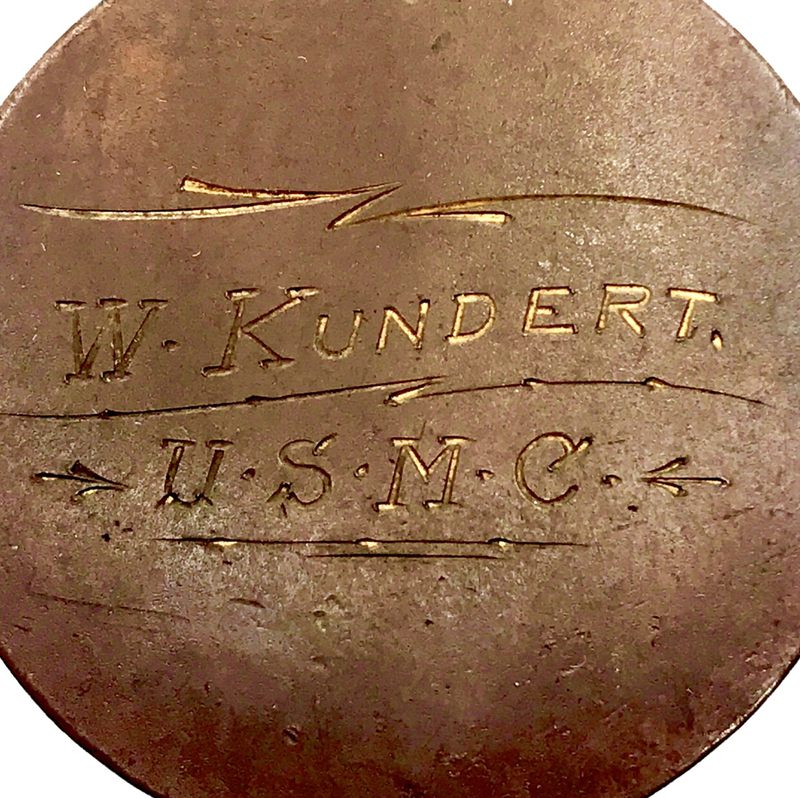 He disembarked the U.S.S. 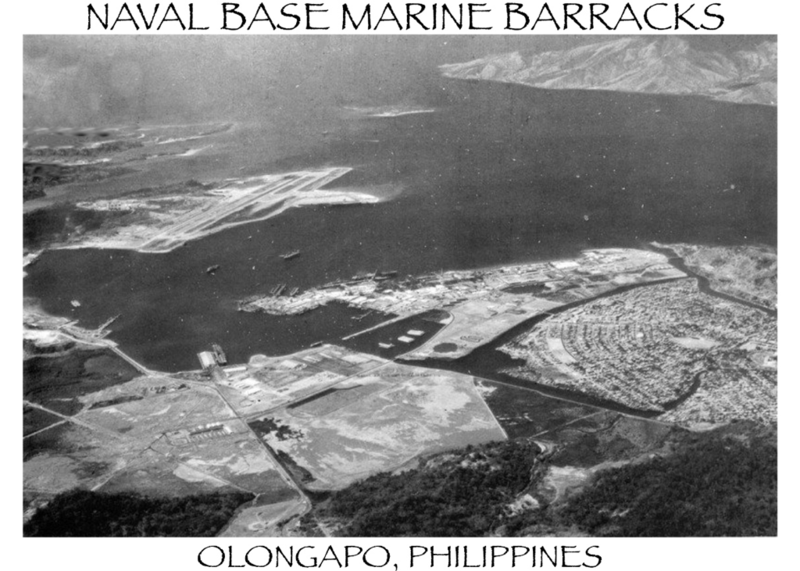 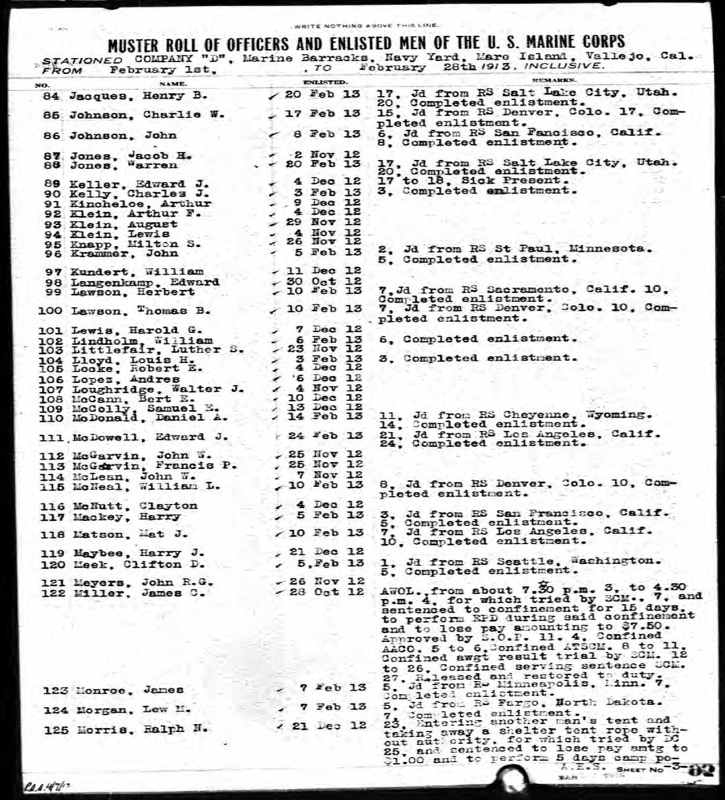 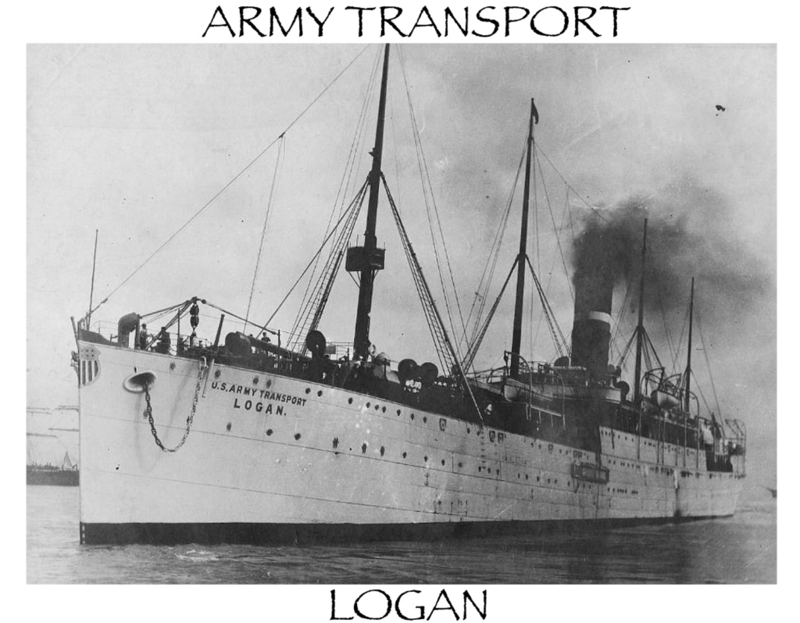 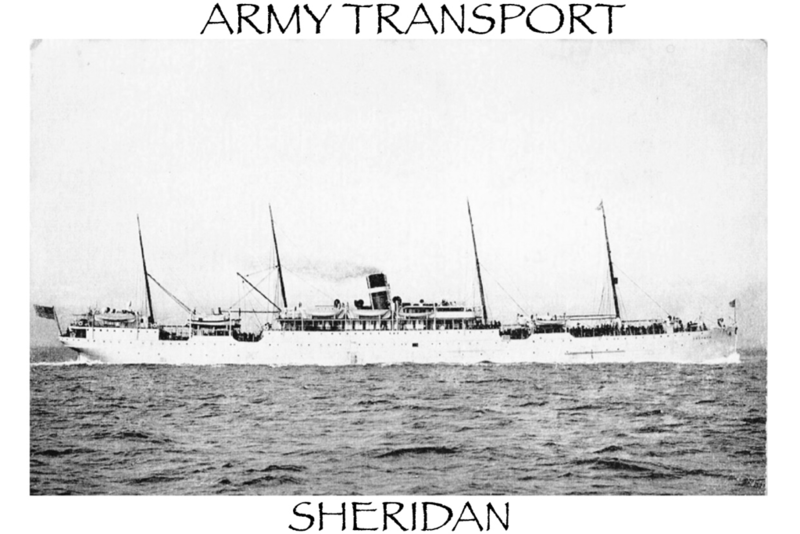 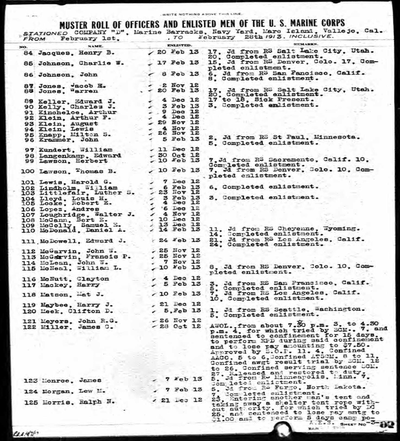 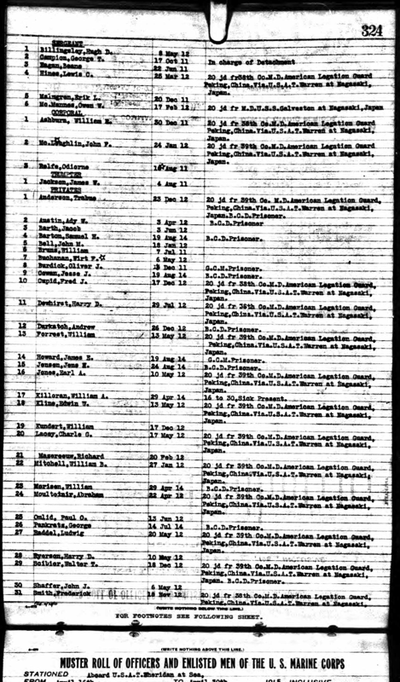 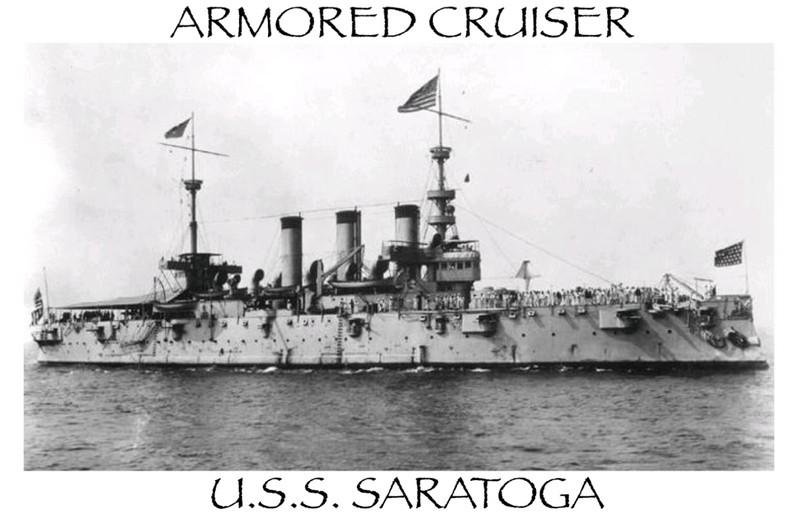 Saratoga & was temporarily Station at the Naval Base Marine Barracks Cavite, Philippines until April 15th 1915 when he sailed for the mainland aboard the U.S. Army Transport Sheridan from Cavite, PI to San Fransisco, CA. 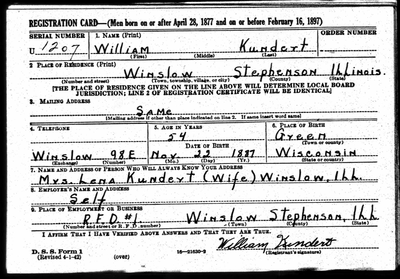 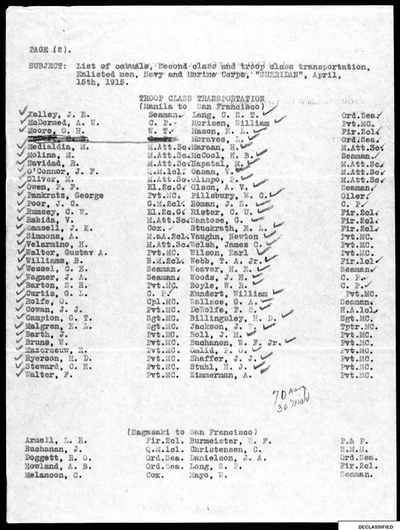 William signed his name for the World War II draft April 27th 1942. Declaring Self employment with R.F.D. 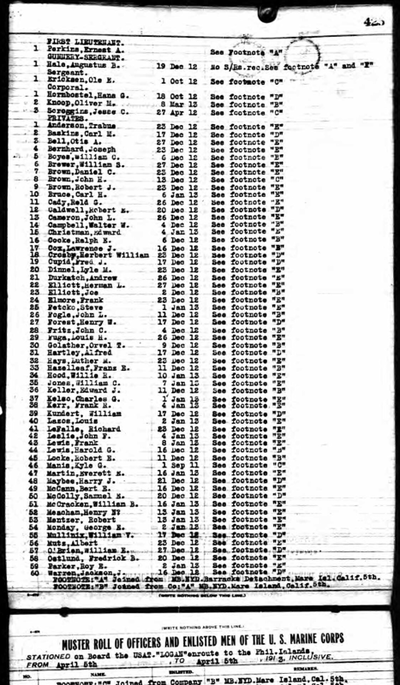 #1 in Stephenson, Illinois. 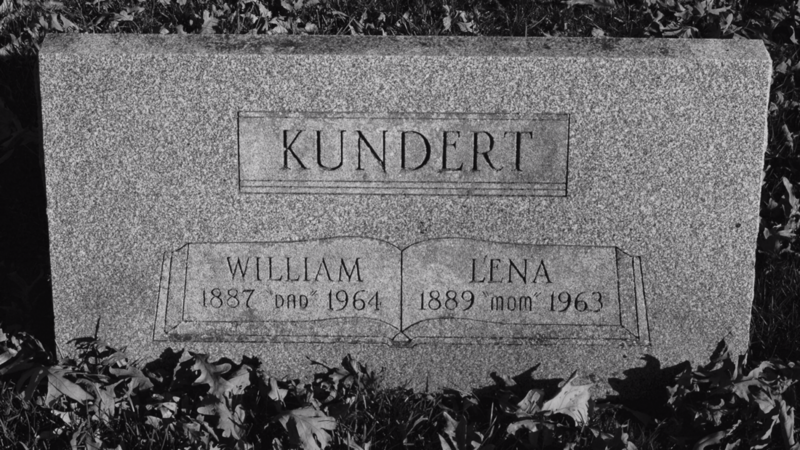 United States Marine Corps Private William Kundert passed away July 28th 1964. 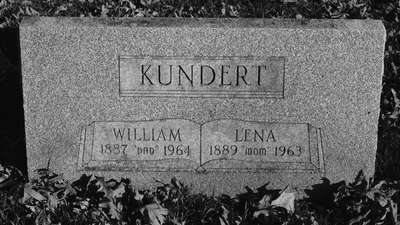 He is buried at the Greenwood Cemetery, in Monroe, Greenwood County, Wisconsin.